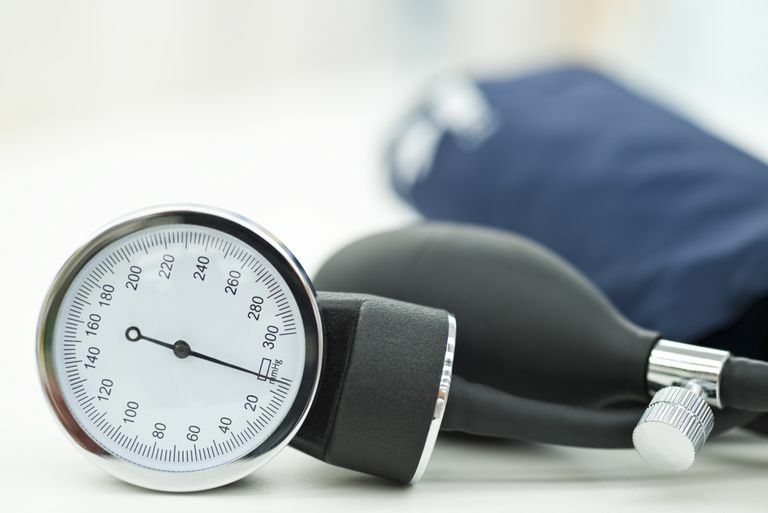 Long-term high blood pressure, typically referred to as hypertension, is a known risk factor for ischemic strokes, which are strokes caused by interruption of blood supply in the brain. Extremely high blood pressure, even for a short period of time, can cause hemorrhagic strokes, which are strokes caused by bleeding in the brain. Most strokes occur due to a blockage of blood flow to a part of the brain, but approximately 15% of strokes occur due to bleeding in the brain. Of all the causes of hemorrhagic stroke, high blood pressure is the most common, accounting for approximately 80% of all cases. High blood pressure can significantly increase the risk of a hemorrhagic stroke. This risk is even more pronounced in the elderly, in people who smoke, in men, in diabetics, and in people who drink alcohol. High blood pressure can lead to intracerebral hemorrhage (ICH), which is bleeding within the skull, by damaging the fragile walls of small arteries inside the deeper areas of the brain. These are the same arteries affected by lacunar strokes, which are so common in white matter areas. The areas most commonly damaged by ICH are the brainstem, the internal capsule, and the cerebellum. In some cases, the bleeding caused by high blood pressure may be large enough that blood spills into the brain's ventricles causing an intraventricular hemorrhage, a condition which can result in life-threatening hydrocephalus. The symptoms of ICH caused by high blood pressure vary depending on the location and size of the bleeding and are often similar to the symptoms of a stroke. In general, a hemorrhagic stroke is often associated with severe head pain and dizziness, but in some instances, a hemorrhagic stroke may not cause these symptoms may cause mild head pain or dizziness. In rare cases, the bleeding caused by high blood pressure is so profuse that it leads to a rapid increase in intracranial pressure 0, which causes more serious consequences, such as unresponsiveness, inability to move, or coma. Am imaging test to identify bleeding in the brain is the most reliable way to diagnose a hemorrhagic stroke. The first test performed usually is a head CT, which is a rapid and reliable way to rule out bleeding in the brain. When bleeding is found, but the source of the bleeding is not clear, other tests such as a cerebral angiogram or an MRI of the brain with contrast 0 may be necessary. These tests help to diagnose other causes of bleeding such as AVM, aneurysms, amyloid angiopathy, or brain tumors. What Is the Treatment For Hemorrhagic Stroke? The treatment of bleeding in the brain caused by high blood pressure starts with stabilization and diagnosis. This is because enlarging bleed in the brain can progress rapidly and may produce severe consequences. Usually, blood pressure is controlled in order to prevent further bleeding. Other possible interventions depend on factors such as the size of the bleeding, the severity of the symptoms and on whether the interventions being considered can be expected to make a difference in the overall outcome. In some cases, bleeding must be surgically evacuated immediately, because it can produce pressure on the brain. In other cases, the risks of surgery clearly outweigh the potential benefits, leading doctors and families to refrain from further treatment. And in the grimmest of cases, bleeding has caused so much damage to the brain that surgical intervention is futile, and brain death may result with or without intervention. Moderately high blood pressure can slowly increase the risk of stroke. this is why it is important to maintain a blood pressure that follows recommended guidelines. Extremely high blood pressure, however, can lead to more serious strokes. The most common causes of extremely high blood pressure include untreated hypertension, severe illness, and drug use. Taking care of your health, regardless of your income level, can go a long way in preventing serious medical emergencies such as hemorrhagic stroke. Relationship of Hypertension and Systolic Blood Pressure With the Risk of Stroke or Bleeding in Patients With Atrial Fibrillation: The Fushimi AF Registry, Ishii M, Ogawa H, Unoki T, An Y, Iguchi M, Masunaga N, Esato M, Chun YH, Tsuji H, Wada H, Hasegawa K, Abe M, Akao M, Am J Hypertens. 2017 May 30.